Cole Porter thought of Kiss Me, Kate, along with Anything Goes, as one of his two perfect musicals and Trevor Nunn is a man who clearly thinks along similar wavelengths. Having been responsible for the National Theatre’s stunning revivial of Anything Goes in 2003, he also takes the reigns here and displays the assured hand of a man who is as equally at home in musical theatre as he is in Shakespeare. No mean achievement and one that pays dividends in bringing Porter’s screwball reinvention of Shakespeare’s lacerating take on gender politics to life. Not many musicals stand toe-to-toe with Anything Goes, and not many productions can match Nunn’s revival, which has so far proved to be one of the few great musical moments of the 21st century. 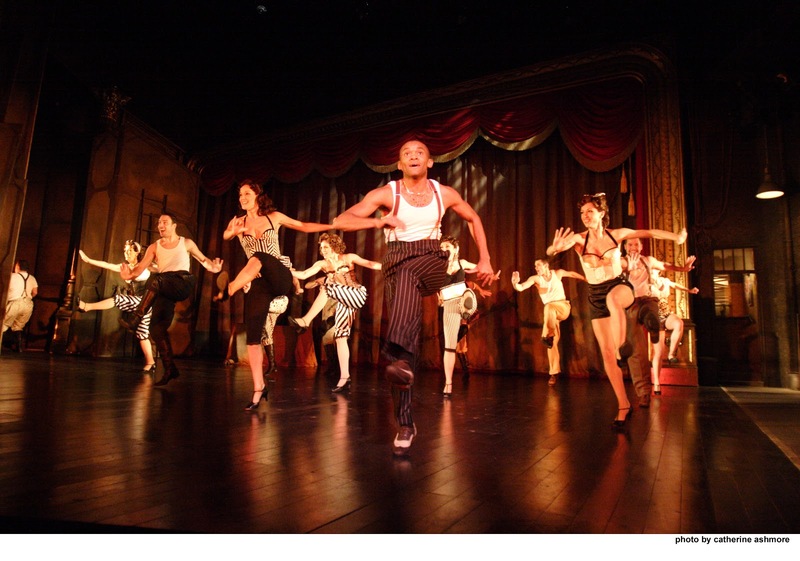 It was the last of the great examples of chorus-line choreography, Crazy for You, Top Hat and Singin in the Rain being pale comparisons of the form. It also boasted fine central performances, particularly from John Barrowman as Billy Crocker. And of course it had Cole Porter at his irrepressibly brilliant best. All of which is a roundabout way of pointing out that Kiss Me, Kate is not the equal to Anything Goes. Songs like Wunderbar, Brush Up Your Shakespeare and Kiss Me, Kate are mere shadows of It’s De-Lovely, You’re the Top and Anything Goes. There are occasionally moments where riffs and motifs feel repeated, and parts of We Open in Venice sound like a straight lift from Bon Voyage. At his best Porter has a verbal dexterity that has only been matched by Stephen Sondheim, a lightness of phrase that can wrap a barb within the most delightful melody and an almost unparelled ability to produce rousing, climaxes that blend dance routines seamlessly with witty lyrics and show-stopping choruses. Unusually Porter is strongest with the spoken dialogue rather than the music and lyrics. It is without doubt a very intelligent reworking of Shakespeare’s play. There is a level of meta-textual dynamism that is most unexpected from a musical written that was written in 1948 and ran for over 1000 performances. The play presents us with an off-stage version of Kate and Petruchio but also flips the action to show us both faithful, and unfaithful, renditions of the actual Shakespearean parts. Naturally action overlaps between off-stage and on, whilst fictional characters invade the world of the play-within-a-play all the while building to a suitably romantic ending.